After two years of advertising inactivity, Sprite found itself in a position no brand wants to be in – it lacked an identity. It had lost its ‘cool’. 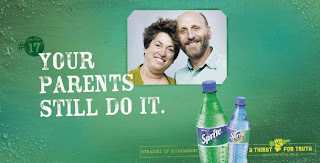 Sprite wanted to define itself in order for it to be seen not simply as a product, but a lifestyle choice. 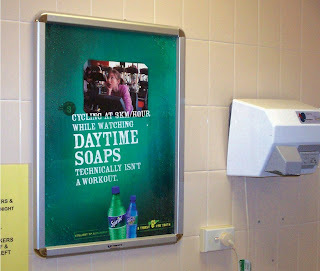 Sprite identified ‘piss-taking’, ribbing friends about certain home truths, as being nothing short of a national past time amongst its target audience, Australia’s Generation Y. Deciding this fitted with its already established “Thirst for Truth’ tagline, it aimed to engage its target demographic on this level. Initially cranking up the ‘piss-taking’ for comic effect, Sprite rolled out a campaign ‘exposing brutally honest truths’ about Australian culture. It also put together a team of funny but quite real Generation Y Aussies called ‘The Truth Hunters’, who served as the spirit and voice of Sprite. They went out on the streets with cameras to interact with members of the public about their humorous "truths", such as "People will take anything if it's free". The Truth Hunters went out and distributed old newspapers, bits of food and used soap to see whether people on the streets would take it. People were also invited to submit their own videos via a YouTube channel. The campaign was rolled in cinemas and gym changing rooms, on websites and mall tabletops – in short, anywhere Generation Y existed. The experience was interactive, with a full-time editor responding to the banter and continuously integrating consumer brutal truth ideas into the campaign. Some 5.5 million video views, 5,000 posts and over 50,000 interactions were achieved through the campaign that saw Sprite win back its ‘cool’ image.